“I wondered if I could create a minuscule postmodern hippie outpost, a safe haven for artists, musicians, writers, poets, activists, and thinkers — essentially anyone who wanted to escape the relentless tyranny of the city for a little while,” Sabeen Mahmud described her inspiration behind founding The Second Floor—a coffeehouse and haven for progressive expression—in a recent interview with MIT’s Innovations Magazine. 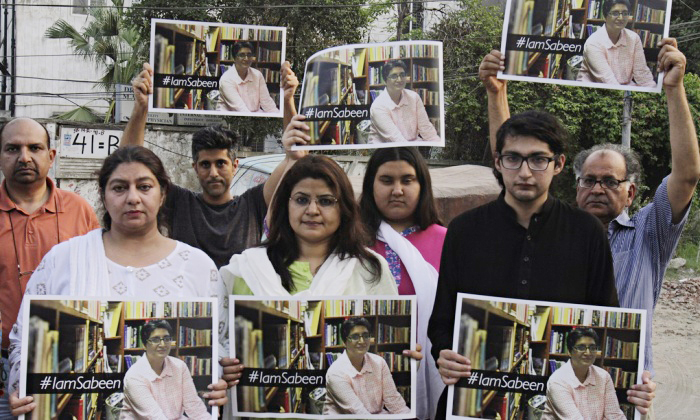 On April 24th, the Karachi-based human rights and counterculture activist was shot to death by two gunmen on motorbikes as she was leaving The Second Floor (T2F) with her mother who also suffered gunshot wounds. The center had just hosted a forum discussing citizens missing in the ongoing Balochistan conflict. As is too often the case these days in Pakistan, the unidentified gunmen got away.